Isn't it great when you finally get that lemming! Well for me Emily de Molly Cosmic Forces has been one for a while til I managed to nab it during a Llarowe restock. 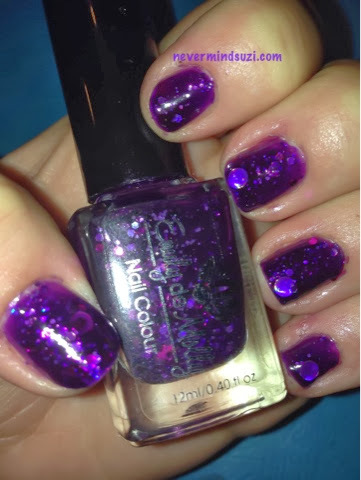 This is a lovely purple jelly with lots of gorgeous glitter through it, including my fave circle glitters. This polish has beautiful depths to its colour. And it looks fab with the flash, check out the way those glitters shine through!